Shipping Large Packages in Canada? We ship large items to and from all points. 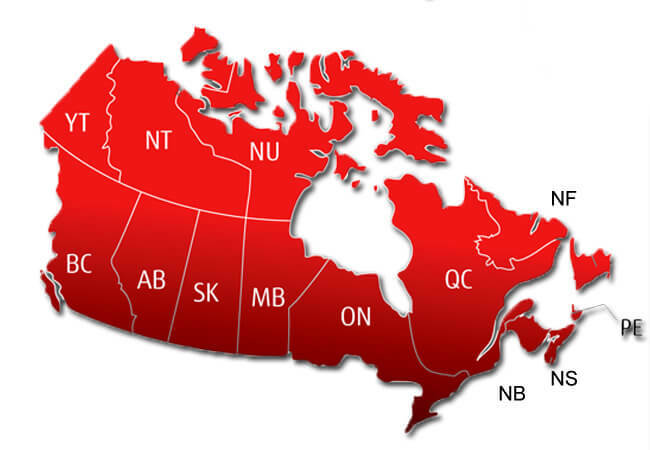 At ShipCanada we help you move freight and Parcel shipments to and from all points with Canada and the U.S. When it comes to large packages, Canadians often find it difficult to find the appropriate shipping company. While there are many transport companies in Canada, few offer residential pickup and delivery service. 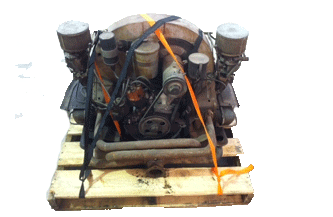 ShipCanada offers residential pickup and delivery for both large and small packages including personal effects. 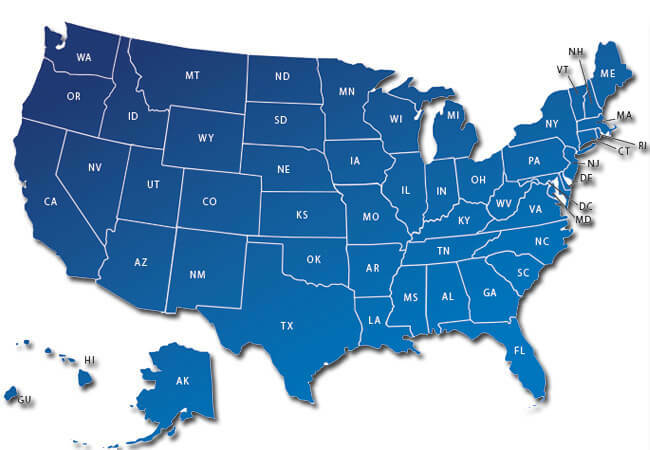 When residential curbside delivery is not possible we can hold your freight at any one of a network of terminals across the country. 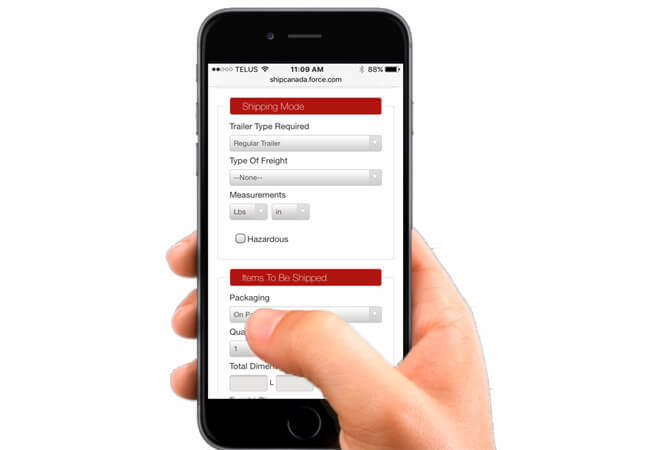 If ground freight is not fast enough, ShipCanada can also offer Next-Day Air Freight options. For the most efficient way to ship large items, please see our guide on how to prepare for shipping Our service for LTL freight extends to all Canadian provinces with both regular economy rates as well as fast-as-flight expedited service. For the best economy shipping rates on freight that is not time sensitive we offer Rail Intermodal service to all points west of SK. For regular freight shipments with medium time sensitivity we offer economy over the road rates. If your freight has to get to its destination faster our customers can choose Expedited LTL service which basically mirrors truckload transit times. Regular and expedited services are also available for International shipping requirements. Alberta British Columbia Nova Scotia New Brunswick Newfoundland Nova Scotia Nova Scotia Nova Scotia Prince Edward Island Nova Scotia. Alabama Alaska Arizona Arkansas California Connecticut Delaware Florida Georgia Idaho Illinois Indiana Iowa Kansas Kentucky Louisiana Maryland Massachusetts Michigan Mississippi Missouri Montana Nebraska Nevada New Hampshire New Jersey New Mexico New York North Carolina North Dakota Ohio Oklahoma Oregon Pennsylvania Rhode Island South Carolina South Dakota Tennessee Utah Vermont Virginia Washington West Virginia Wisconsin Wyoming. Please feel free to visit our Shipping School for help with terminology and definitions. Our agents are equipped to assist you with all aspects of the shipping process. Once your shipment is is in transit you can also track the customs clearance status by visiting our customs portal and locating the appropriate customs broker.